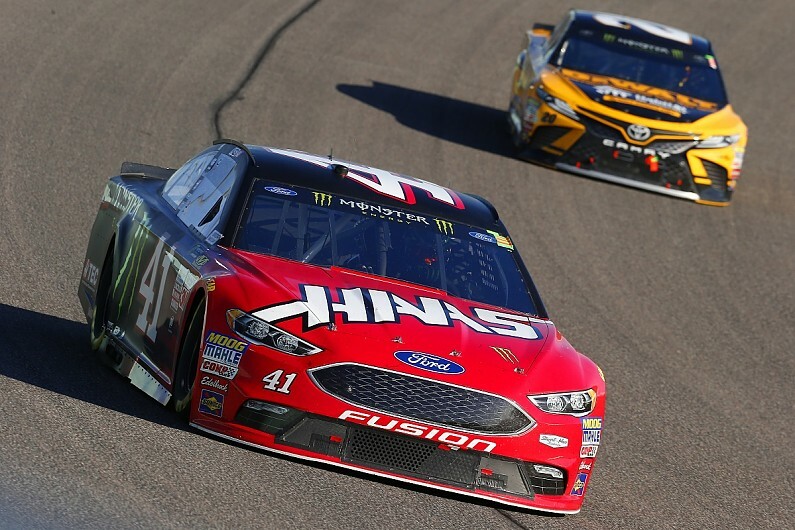 Kurt Busch and Stewart-Haas Racing have agreed a one-year deal to keep the 2017 Daytona 500 winner on board for the ’18 NASCAR Cup season, Autosport has learned. In August SHR informed Busch it would not pick up the option on his then-current contract but still expressed an interest in retaining him under a new deal. An official announcement of the agreement is expected as early as Tuesday, sources said. Busch, 39, was recruited by team co-owner Gene Haas for 2014 and has won at least one race and made it into the playoffs each season since. Busch’s crew chief for 2018 has yet to be determined. Although he has enjoyed success with veteran Tony Gibson over the last three years, Gibson had expressed a desire to stop working the full Cup season. Haas has maintained his desire throughout the year to continue to field four Cup series cars even if external sponsorship was not available for them all. “Financially, running four teams makes sense, because with this new charter system we’re paid money to run the cars not only from NASCAR [prize money] but with our relationship with Ford,” he said earlier this season. Aric Almirola has replaced Danica Patrick in the SHR’s #10 car, while Kevin Harvick and Clint Bowyer are continuing in its other two Fords.